The holidays can be a time of worry and turmoil, especially when you’re thinking about traveling for the winter holidays. Most often, you want to travel home, or fly somewhere perhaps a little warmer. The problem is, what is going to happen to man’s best friend? You are now stuck in the age-old dilemma of whether to bring your dog with you for vacation or boarding him/her while you are away. The following are the reasons why you should take your dog to Royal Pets Market Resort, and not on an airplane. You could take your dog with you on vacation, but that could be a headache you don’t want. Dogs, especially large breeds, can be difficult to cage and even harder to transport. Large cages can be extremely heavy and almost impossible to maneuver into a car and even on an airplane. They are difficult to put on an airplane mostly due to the fact that flight loaders can be afraid to get too close to the cage because of your pet. If your pet is too large to seat with you on the plane, they are often stored with luggage. Your pet can be scared, and without you there, they can lash out at workers coming too close to their cage. Depending on the attitude of your animal, traveling in a crate could cause unneeded distress. Without you constantly close, they can feel lost and alone. Because of this, they can become mean, sad, and in some cases, depressed. If your animal is too big to fit on a plane, it is better for them to be boarded than be crated on an airplane. Even the most friendliest of dogs can become aggressive if they feel they are alone and threatened. Aside from the mobility issue, some dogs often need attention. Travel can be stressful; the last thing you want to worry about is if your dog is getting the attention it needs. More importantly, airports are often crowded, with no easy accessible outdoor area. 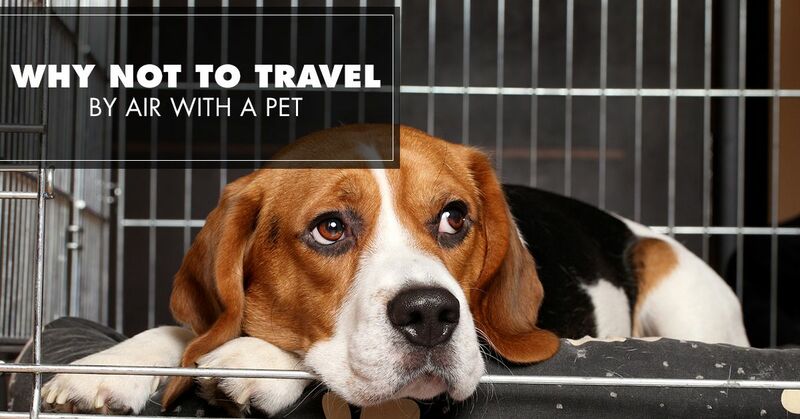 For the time you are traveling, your pet must stay cooped up in their kennel, which is not fun for them, or you. Your pet can get thirsty during a long day of traveling. Because pet carriers cannot carry bowls of food or a dish of water, if is your responsibility to make sure your pets are getting the sustenance they need. That means, while you are awkwardly waiting for your plane, you must make you figure out how to feed your pet food and water from inside their cage. The whole ordeal is extremely uncomfortable, especially when they are wanting out of their cage. They can try to jump from their cage or make a run for it, which is the last thing you want to deal with, especially in a busy airport. Because airports have no accessible outdoor areas, your pet must go to the bathroom before you board the plane. In a perfect world, this would work. However, it is not a perfect world. So most likely, your pet will have an accident either in their carrier or crate. Of course, that will be your responsibility to clean up once you get to your destination or in the airport bathroom. Either way, it is a difficult situation to be in and not fun for either of you. After being cooped up in a cage all day with no food, water, or bathroom, it makes sense why your pet would be upset. When pets are upset, they often make noise, like barking or howling. Barking can be an annoying sound, and depending how long your pet can bark, your whole plane ride will consist of your apologizing to everyone on the plane. Even though babies crying on a plane is a rough audible sound, nothing is worst that a high-pitched bark throughout the entirety of your flight. When you pet is away from you and scared, they will often cry. This, of course, makes sense because they are alone in a strange place for hours on end. It can often be hard to travel with your pet while they are crying. You heart can break for them because you know there is nothing you can do to make them feel better. You might try to take them out of their kennel, but that just makes putting them back in that much more challenging. The cabin pressure of an airplane is annoying for even humans. For pets, the pressure is even worse. Because they don’t know how to regulate pressure in their ears, they can be uncomfortable for the whole flight and become even more distressed. For certain breeds, you are advised not to bring your animal on a flight. Certain breeds, such as bulldogs, have respiratory issues that could be worsened under intense amounts of stress. Traveling can be overly exerting for pets, so when you fly with your pet, you run the risk of activating health issues within them. For example, breeds that are predisposed to heart conditions can go into heart failure if they reach a certain level of distress. In short, it is a really bad idea to take an animal on a plane. The process can be grueling and stressful, for both you and your pet — not mention expensive! On average, the cost of bringing your pet with you on a flight can range from $50-500. There is a strict protocol that you must follow, as well, depending on the size of the plane, the size of your dog, and the length of your flight. The good new is you have other options aside from bringing your pet on your fight. For example, you could always drive. However, with driving, you still will run into a few issues with feeding and bathroom stops. Some owners also will consider not going on vacation because of their pet. This is a mistake, especially when there are wonderful kennels your pet could stay in. For example, kennels, such as Royal Pets Market Resort, are excellent places for your pet to get some needed rest and relaxation. 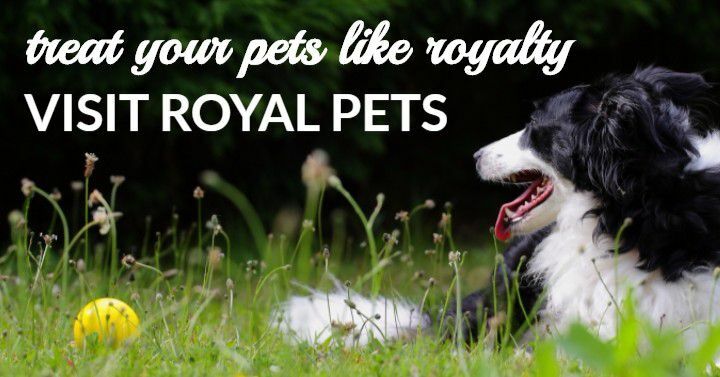 At Royal Pets Market Resort, boarding your pet goes from being a chore to a spa getaway for your furry friend! 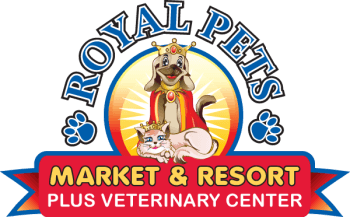 If you are going on vacation for the winter holidays and live in the Apopka, Florida area, consider boarding your pet at Royal Pets Market Resort. They will get round-the-clock care, air conditioning and heating, as well as their own private suite. They may not even notice you left! Contact us today and learn more about our pet resort!